Joseph Furphy is mainly remembered as the author of the novel Such is Life: Being Certain Extracts From the Diary of Tom Collins, which is widely regarded as a classic piece of Australian literature. He wrote many other works for various periodicals as well, although none became as famous. Most of his works were written under the pseudonym of “Tom Collins”. The son of Irish parents, Furphy was born on 26 September 1843 at Yering (near Yarra Glen, Victoria). In 1850 the family moved to Kangaroo Ground (about 8 km. west of Yering), then moved again two years later to Kyneton. Joseph married Leonie Germain in 1867 and bought a small farm near Colbinabbin (north-east of Bendigo), but it was not a success, so he sold the land and purchased a team of bullocks, driving them for a living. However, hard times during the drought of 1883 forced him out of the carting business, so Joseph got a job at his brother’s iron foundry in Shepparton (where the well-known Furphy’s water carts were made). His experiences in his working life, on the track with the bullock teams and dealing with country folk, served him well as a basis for his writings. Furphy had developed certain opinions on the human condition, which he expressed in Such is Life. In the novel he makes clear several points of view, such as an opposition to granted ranks of nobility (“I acknowledge no aristocracy except one of service and self-sacrifice”), a pro-union viewpoint (“The labour-leader, of accredited integrity and capability . . . has moral force in reserve”), and a promotion of simple living (saying that, in the future, “all private wealth, beyond simplest maintenance, will seem as the spoils of the street gutter”). In October 1886 he met Kate Baker, a school teacher who was deeply impressed by Furphy, and they struck up a strong and lasting friendship. It appears that their feelings for each other ran deep, but he was married with children, with strong moral and religious values, and the relationship was kept on a platonic level. However, during an illness (and thus apparently when she wasn’t thinking clearly), Kate wrote a love letter to him, which was unfortunately intercepted by his wife; although, once Kate became well again, she reportedly couldn’t even remember writing it. Joseph seems to have held reciprocal feelings for Kate, as indicated by a 1903 letter to her, in which he told her of a story he was writing “where I shall endeavour to describe how Tom C. fell in love with the fat-lydy-teacher”; as Tom Collins was the pseudonym that Joseph Furphy used for himself, and as Kate Baker was known to be rather plump, it appears that he was expressing his feelings for her in a semi-cryptic fashion. Joseph Furphy described himself as a socialist, which was not uncommon for working men in the days when the poor of Australia did not have the welfare safety net that exists in modern times. 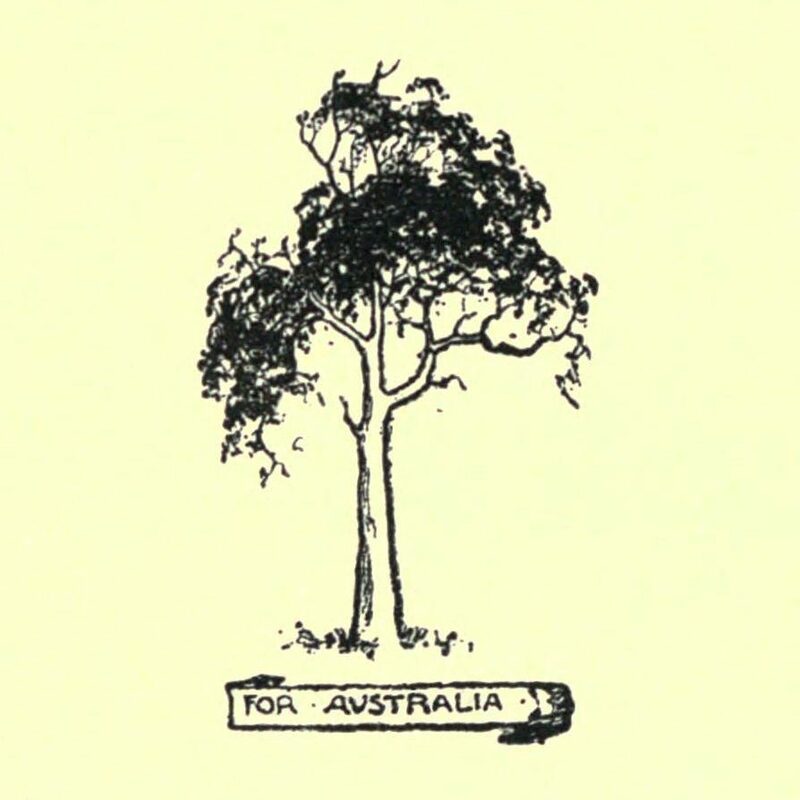 In an 1893 letter he expresses his admiration for William Lane’s utopian socialist settlement in Paraguay, whilst he later writes of voting for the Labor candidates in Western Australia in 1906. In keeping with the racial attitudes of the time, in Such is Life Furphy expresses a disapproval of the Asian presence in Australia, as demonstrated in his book by the utterances of the main character, Tom Collins, who says “Let us pit the honest frankness of the played-out Caucasian against the cunning of the successful Mongol”; also yelling to a Chinese man “Out of my way, you Manchurian leper, or I’ll run over you!”; and referring to a Chinese person as “another yellow agony”. He also makes reference to a “slant-eyed menace” facing Australia, in his poem “A Psalm of Counsel”. Furphy was well-read, a fact which is often revealed in his work. Such is Life is full of references to classic literature (such as the works of Shakespeare), as well as Latin and French phraseology. It also contains various allusions to subjects which were then current, but which would be more elusive for readers in later times. As an aid to modern readers The Annotated Such is Life (edited by Frances Devlin Glass, Robin Eaden, Lois Hoffman, and G.W. Turner) was published in 1999, which, in addition to Furphy’s book, includes 158 pages of annotations that explain most of the terms and references found in the novel. Joseph Furphy submitted his manuscript of Such is Life to The Bulletin Company in 1897, where it was recognized by A.G. Stephens as a potential Australian classic; however, it took six years to be published as a book, finally appearing in August 1903. During his lifetime Such is Life was not a best-seller, but after his death it was promoted widely by Kate Baker, who was deeply convinced of the novel’s worth, and who was largely responsible for ensuring that Joseph Furphy’s work attained a later prominence in Australian literature. It was also Kate Baker who gathered together his poetical works and, four years after he had passed away, published them as The Poems of Joseph Furphy. Two stories written by Furphy, originally intended as chapters for of Such is Life, were later published separately. One was published in a serial format in the Barrier Truth in 1905-1906, and later released as a book, Rigby’s Romance, in 1921 (an abridged version), and in 1946 (the full version). The second story was published as The Buln-Buln and the Brolga in 1948. In 1904 Furphy and his wife relocated to Claremont (in the western suburbs of Perth, WA), after having been invited to move there by their two sons, who were living in Perth (as was their daughter). Eight years later, Joseph Furphy died in Osborne, on Friday 13 September 1912, and was laid to rest in the cemetery at Karrakatta (where John Curtin, Sir John Forrest, and Sir Paul Hasluck are also buried). He was survived by his wife Leonie, their two sons Felix and Sam, and their daughter Sylvia. Furphy’s writings expressed not only a love of country and his own moral values, but also reflected the times in which he lived and the way of life of many people in rural Australia. 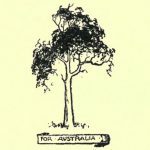 His various works, many of which were published during his lifetime in popular periodicals (such as The Bulletin), as well as those which were published posthumously, have all added to the rich treasury of Australian literature.